One of our favorite parts of the changing seasons is the opportunity to decorate, and when it comes to decorating for fall, two iconic stars steal the show – pumpkins and mums. Synonymous with the shorter days, crisp weather and falling leaves, pumpkins and mums add a pop of warm, cheery color to your front porch or centerpiece. 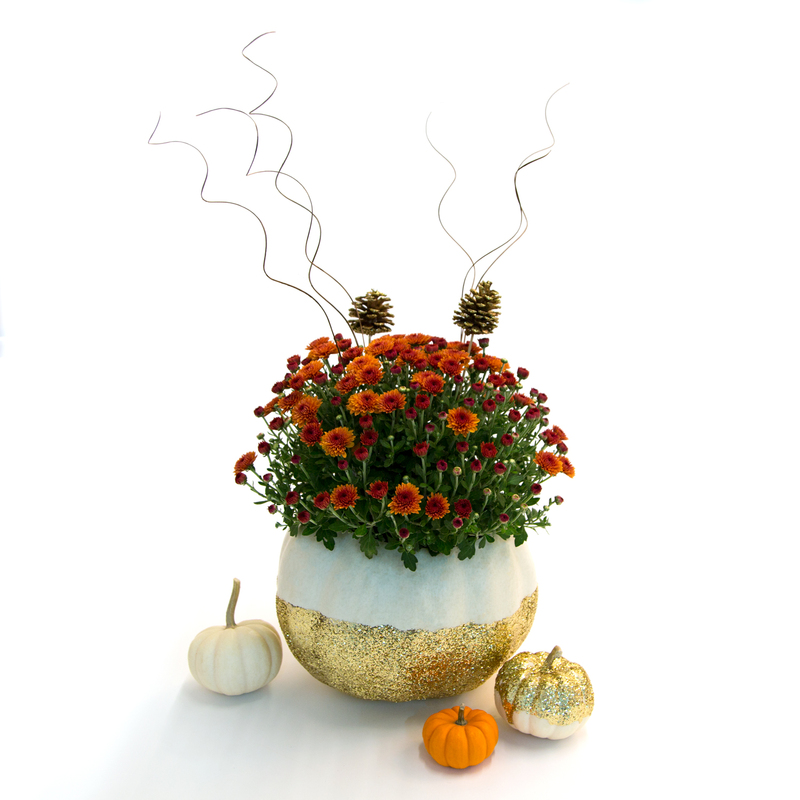 This fall, try combining pumpkins and mums to create a mumkin. Whether you’re a seasoned DIY enthusiast or an arts and crafts novice, mumkins are a fun and easy decorating project for all ages. 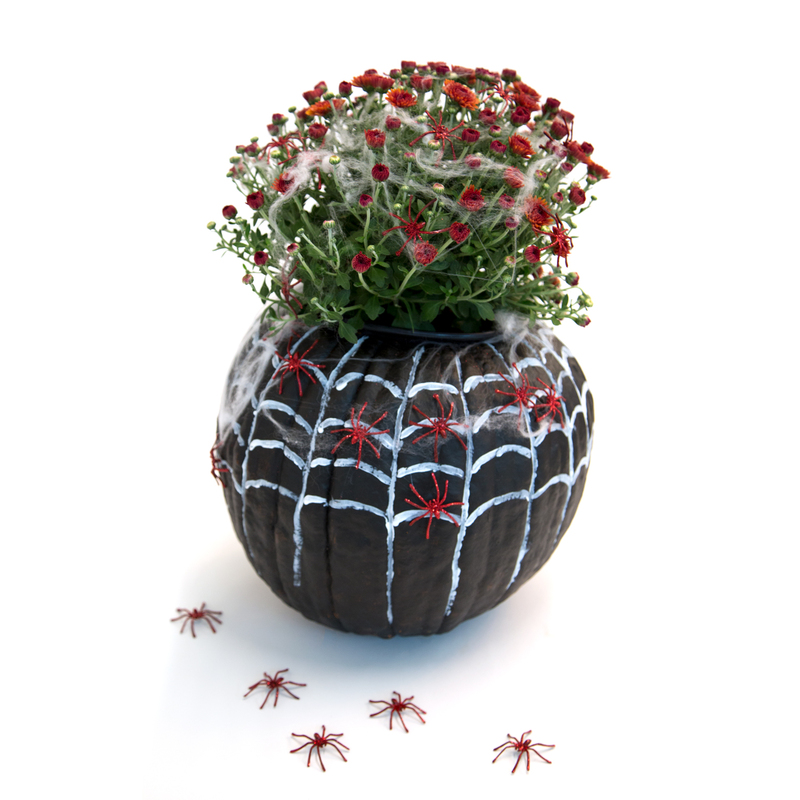 You can leave your mumkin au naturel for a more rustic look or decorate it for a playful Halloween design or anything in between! Better yet, each of our mumkin projects shown here can be completed for less than $30. Here’s what you’ll need. • Art supplies such as paint and brushes, glitter, etc. • Décor accessories such as faux cobwebs, pinecones on sticks, etc. Preserve your pumpkin. Submerge the entire pumpkin in white vinegar before cutting or lightly spritz the pumpkin with a bleach solution of 1 tablespoon bleach to 1 quart water after cutting. Care for your mums. Place the mums in an area where they will receive partial to full sun and remove the planter from the pumpkin to water your mums daily. Trace the top and bottom of the plastic planter onto the pumpkin where you want to place the mums. 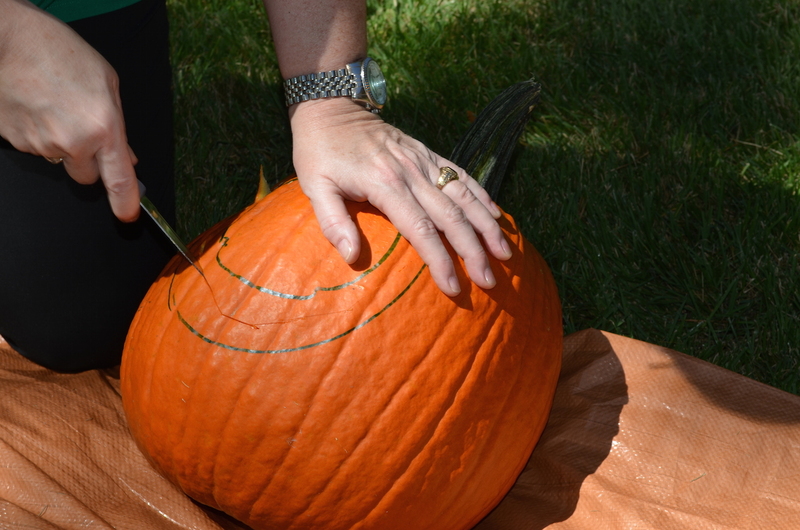 Cut in between these lines and remove the top of the pumpkin. Clean out the inside of the pumpkin. 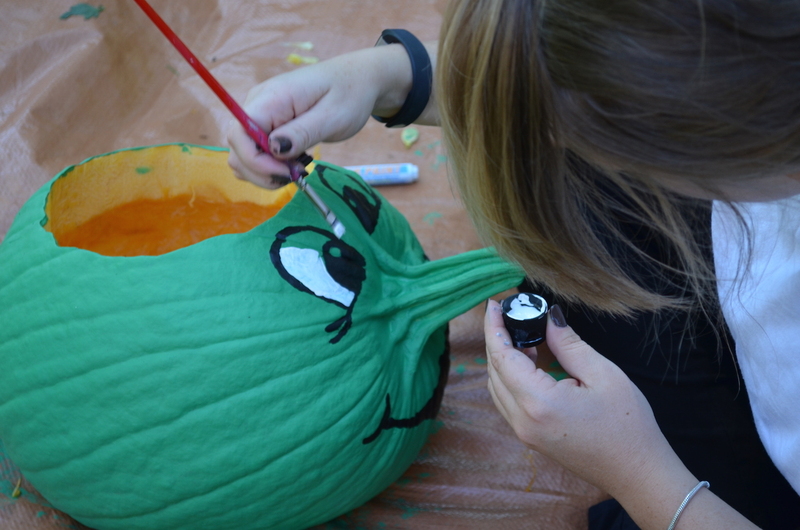 Decorate the outside of the pumpkin to your liking with art supplies. 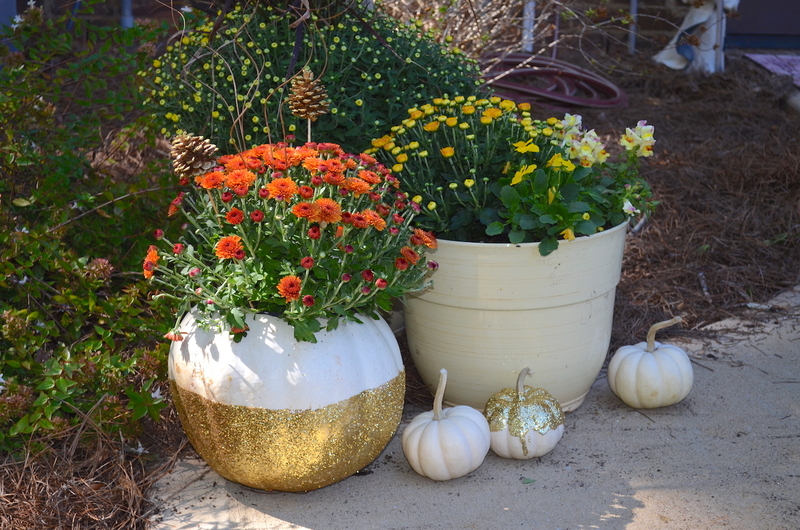 You can use paint or glue and glitter as decoration or leave the pumpkin bare. 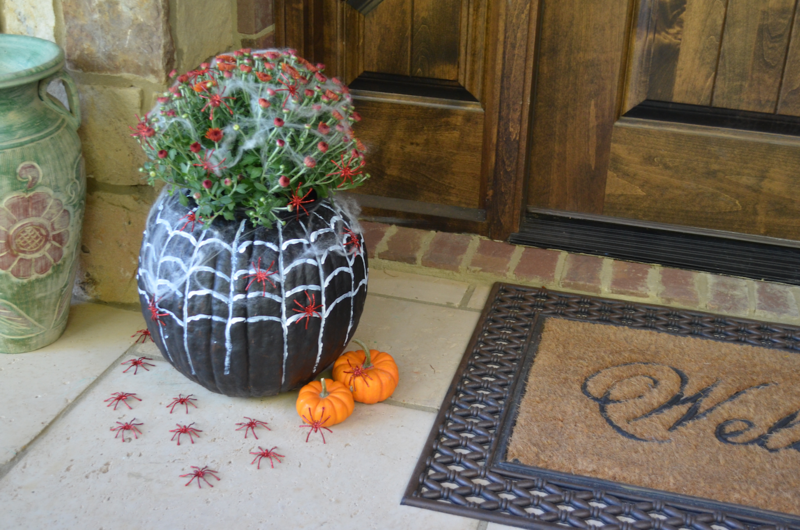 Place the potted mums inside the pumpkin. 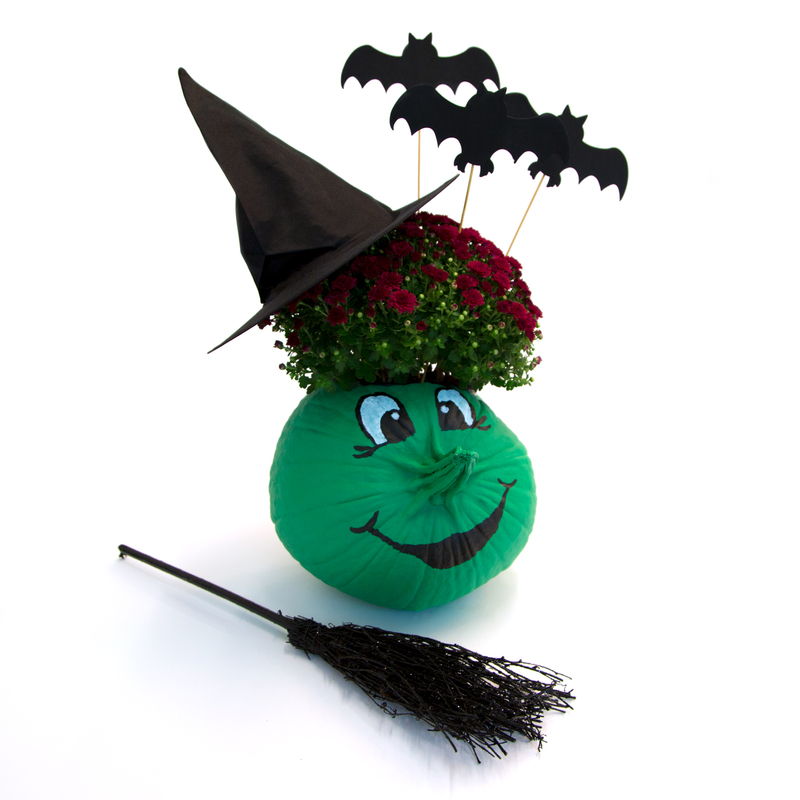 Add any additional accessories and enjoy your festive mumkin!